RUSSIAN PRESIDENT VLADIMIR Putin has said climate change was unstoppable and not caused by human activity and urged countries to adapt to global warming. One day after he visited the Franz Josef Land archipelago in the Arctic, Putin claimed that icebergs had been melting for decades and suggested that global warming was not mankind’s fault. The issue is not stopping it… because that’s impossible, since it could be tied to some global cycles on Earth or even of planetary significance. The issue is to somehow adapt to it. The archipelago was declared Soviet territory in 1926. 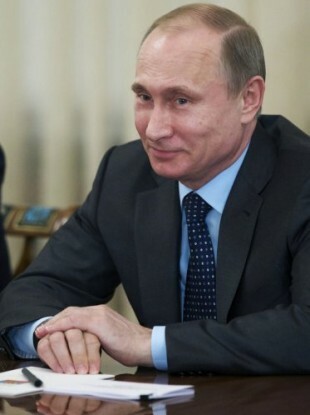 Email “Vladimir Putin does not believe in man-made climate change”. Feedback on “Vladimir Putin does not believe in man-made climate change”.